Hailed as “a vocalist of unerring instinct” by the New York Times, “transcendent” by the Boston Globe, and “the newest darling of the Americana set” by USA Today, Aoife O’Donovan arrives at the Freight fresh from performances on Mountain Stage and A Prairie Home Companion, as well as at the Grand Ole Opry. She has a brand new album, Fossils, her first solo effort, a collection of sparkling originals that weaves together strands of folk, bluegrass, and country rock. 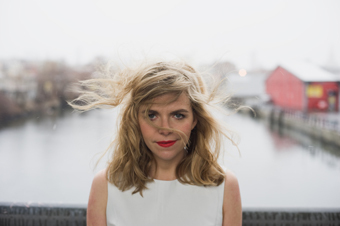 Aoife (pronounced EEE-fah) grew up in a musical family in Newton, Massachusetts – her father hosts “A Celtic Sojourn” on WBGH in Boston – graduated from the New England Conservatory, and hit the road as lead singer and principal songwriter for the cutting-edge string band Crooked Still. After ten years and six scintillating albums, the band went on hiatus, and Aoife turned her attention to recording Fossils, as well as touring with the Punch Brothers and the Milk Carton Kids, and participating as featured vocalist in the Grammy-winning Goat Rodeo Sessions with Yo-Yo Ma, Chris Thile, Edgar Meyer, and Stuart Duncan. She’s a prodigious talent. Her show should be a treat!